Description: Thoracic part of carapace yellow-brown, cephalic part in front of cervical furrow blackish. However, according to Locket & Millidge (1953) the carapace is reddish-brown, rather darker in male. Locket & Millidge (1953) make no mention of a two-coloured carapace so perhaps uniformly coloured carapaces occur as well. Male chelicerae with a large warty tooth anteriorly and several small warts on front and sides, these are less pronounced in females. Sternum orange-yellow with many hairs. Legs yellow-brown, Tm I 0.65-0.75. Abdomen black with four distinct sigilla. Male palpal patella and tibia elongated while tarsus and palpal organs are relatively small . Size: Female 2.5-3.0 mm; male 2.5-2.7 mm. Genus: Atypus Latreille, 1804. 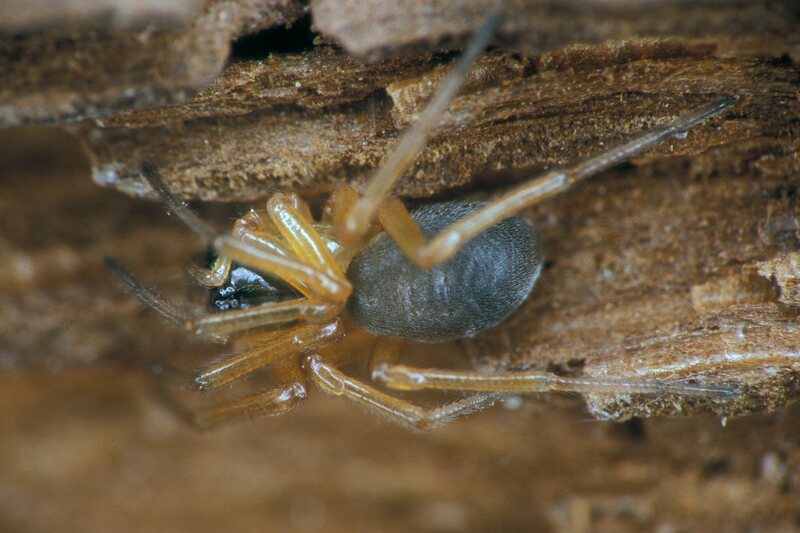 Characters of genus: Large forward projecting chelicerae. Sternum is fused with labium. Six spinnerets, the posterior pair is composed of three segments. The relative lengths of the segments is a character useful for separating the three European species. Atypus affinis is the only orthognath species occurring in Denmark. 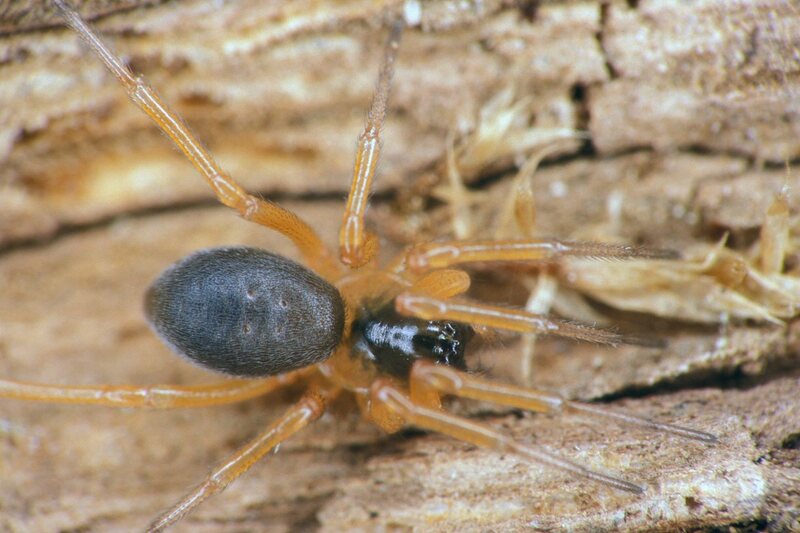 Family: Atypidae Thorell, 1870 (Purse-Web Weavers).